Following opening remarks, we will be having lunch at the LongHorn Steakhouse. Each family will be paying their own food and beverage bill. 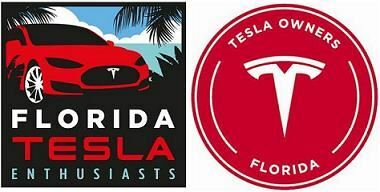 At 12:30 pm, on Saturday afternoon, on January 20th the Space Coast EV Drivers club, Florida Tesla Enthusiasts and the City of West Melbourne will be celebrating the opening of the West Melbourne Supercharger Station at Hammock Landing, West Melbourne. Following the opening remarks by local officials, we will be having lunch at the nearby Longhorn Steakhouse at 255 Palm Bay Rd NE, West Melbourne, FL 32904. A Model 3 will be on display. The location of the West Melbourne Supercharger Station is programmed into the navigation system of Tesla vehicles. The station has 8 charging stalls. We ask local Tesla owners to refrain from charging to permit people traveling a distance to top off during lunch. Please monitor your charging status and move your car as soon as you have a sufficient charge.